John C. Soucy, Jr., M.D. Soucy, M.D. John C. Jr., of Wentzville, MO passed away on Tuesday, May 10, 2016 at the age of 81. John is the devoted husband of Mary Kay Soucy; dear father of John Soucy, Maureen Soucy; step-father of Roric (Michelle) Griffith and Sara Hitchcock; cherished grandfather of Chasity Rickey, Joseph Soucy, Heather Stout, Cheyenne Pfaff, Star Drazba and Evelyn Griffith; beloved great-grandfather of Chloe, Cameron and Roaric; dear brother of Joan (Bob) Hormberg. John is also survived by his nieces and nephews Janet, John and Bob Hormberg and Karen Effinger. He is preceded in death by his parents John C. Soucy Sr. M.D. and Katherine Soucy. John was a graduate of Cathedral High School in Belleville, IL, University of Notre Dame and St. Louis University Medical School. Before practicing at the St. Charles County Clinic from 1972 to 1999, he practiced at Wind River Reservation in Wyoming and Cleburne, Texas. John was a member of St. George Catholic Church, St. George, Utah and St. Patrick Church, Wentzville, MO. He was the Faithful Navigator for the 4th Degree Knights of Columbus, a Civil War Reenactor, a member of Sons of the American Revolution War, St. Clair Genealogy Society, the ACTS program at St. Patrick Catholic Church, the St. Charles County Medical Society and The Apaches of St. Clair County. After retirement, John dedicated his life to his church, volunteer work at hospitals and prisons and as a cobbler. In lieu of flowers, memorial contributions may be made to The John C. Soucy M.D. and John C. Soucy Jr. M.D. Scholarship Fund at St. Louis University School of Medicine. May he rest in peace. He was a friend, my mothers Doctor, my Doctor, and I worked for him for 15 years. Doc Soucy was the Lacey (neighbor’s) family doctor. With 12 children to raise our mother would call Doc after hours to look at our symptoms just to be sure no hospitalization was needed. Dont know how many times he came over but once he snapped a shoulder in place. We were always grateful for his services and he will be dearly missed especially on 4th of July in Weldon Spring. Our Prayers and hearts go out to Maureen, John, and Mary Kay and the entire Soucy family. We are so saddened by the loss of our friend and neighbor, Jack. He always had a smile on his face and was such a kind and gentle soul. Our hearts go out to Mary Kay and his entire family. John was a perceptive and compassionate man, kind and generous. His presence at St. Henry Seminary (Belleville) alumni gatherings in recent years will be forever cherished. The St. Henry’s alumni community offers its deepest sympathy to Mary Kay and their children, grandchildren, and great-grandchildren. We will miss him, especially during the July 4th parade in Weldon Spring Heights! 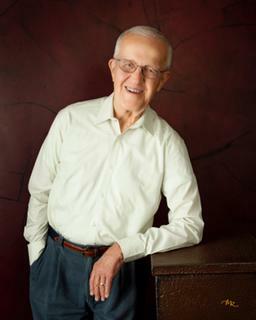 Dr. Soucy was our doctor for many years until he retired. Gordon always told him he couldn’t retire until we died. Unfortunately it didn’t work out that way. He was a kind and compassionate person and an excellent Doctor. We are very saddened to read about his death. Our thoughts and prayers to his family. We are honored to have known this wonderful man. A sweeter soul couldn’t be found. He lived to always give the glory back to his Savior. He always wanted to make everything right for everyone and that precious smile warmed the hearts of many! Haven is truly blessed and the Lord has quite an angel…who will love every assignment given to him. He had the gift of loving unconditionally, his dear wife MaryKay, who brought so many beautiful years into his world! He knew and believed he was the luckiest man in the world….and he loved to tell everyone who would listen that she was his true gift from GOD. His children were his blessings and meant the world to him. Jack, may you rest in peace surrounded by GOD’s grace. You wore so many hats for those of us in the Lacey family…from Doc, to the deep sea monster at Babler pool, to Uncle Sam on the 4th…but most importantly, you were a dear friend whom we were so happy to see every evening you’d pop in unannounced. You’d come bearing copies of the Liguorian or a spiritual article that you’d read and wanted to share or to share a story. You brought life to our household, as your son John continues to do. You’re one of the finest souls I’ve been blessed to know, and you left a definite positive impact in my life and in so many. Your swift flight to heaven is sure to be one for the record books…and to witness your reunion with mom (Clarabel)…oh what a sight! What joyous memories of Dr. Soucy. Worked with him at St. Joseph Health Center for many years. It is a sudden and tragic end to a full and generous life. My sincere and deep sympathy to Mary Kay and Family of Doctor John Soucy, Jr. He was incredibly passionate about sharing his faith and support for the poor. He founded the Latin America Apostolate Endowment Fund of the Archdiocese of St. Louis. This fund helps Bolivian parishioers at Mary Queen Parish (Maria Reina) in La Paz, Bolivia where 3 St. Louis Priests serve as Missionaries through our Latin America Apostolate, Archdiocese of St. Louis. I am forever indebted to Dr. Soucy for his great generosity to our missionary work in this extraordinary way. It was always a delight to visit with him, whether in person or by phone. I will miss him deeply and his compassion and generosity will be rewarded by God. May he rest in peace! May God give you, his family and friends, comfort at this time of loss. It was a joy to know Dr. John Soucy and to work with him as a PSR teacher and Bible Study leader years ago at Sacred Heart in Troy. What a gentle spirit and enthusiastic faith life! I cherish the memories of being privileged to bring Holy Communion to Dr. John when he was ill and experiencing his profound faith and hope. I am proud to call him former parishioner, mentor, neighbor, and friend. “May the angels lead him into paradise; may the martyrs come to welcome him and take him to the holy city, the new and eternal Jerusalem.” May he rest in peace! How do I love thee…let me count the ways…I called him “Jack”…he was my brother-in-law, married to my sister, Tish, for many years. He was the warmth and soul of our family to the very end. God blessed us by bringing Jack into our lives and we always knew we were in his prayers. Thanks for the memories, the love, understanding and thoughtfulness that you always showed not just us, but every one you knew. You will be greatly missed, but we know that you are in heaven smiling down on us and once again guiding us on the right path to the Lord our God. I was John’s premed classmate at Notre Dame. We stayed in touch from time to time over the years. He was a great friend who always gave me sound advice and direction. My deepest sympathies to Mary Kay, John and Maureen. Jack was a special man. I am so glad I was able to reconnect with him a few years ago. I did a little research for Jack at the public library and pulled articles for him on our family history. It was a treat for me to dig into the archives of the past. I only wish I could have seen him again. I am truly sorry for the loss of your husband and father. KERRY DUVARDO. I am soooooo sorry to hear about John. Here he’s in Remission and gets killed crossing the street. Sr.Elaine of O’Fallon had this happen too on No.Main St. I simply do not understand WHY??? God Bless you and Your beautiful family, and may Dear Dr John R.I.P.I live next to St.Pat’s but belong to St.Theodore’s FlintHill. Thoughts and prayers to the Soucy family. Jack was a neighbor and friend for many yrs. in Weldon Spring Heights, Mo. Loved by all and made house calls whenever he was asked, a very generous man, and will be missed by many. I lost track of Jack since our high school years. He attended Cathedral and I attended Assumption. I can tell from viewing this “Guestbook” that he remained the same compassionate, caring and kind person he was when he was a teenager. Jack would be studying on any given Friday or Saturday evening while the rest of us were at the Dutch Girl Malt Shop (now Fishers Rest.) in Belleville. About 9 p.m. Jack would appear. He just wanted to visit a while, say hello to all, and pass along a kind word to everyone. Didn’t know him well but in all those year I never forgot the kindness and gentleness of Jack Soucy. God gladly welcomes Jack and grants him a most deserving peace. We will miss him, especially during the August 13th gathering this year. We will remember how happy we were to see him with you Mary Kay, every year from 2010 gathering to the 2013 gathering of the Soucy’s Association, Saint-Jean-Port-Joli, Ottawa, Lotbinière and Kamouraska. Sincere condolences to you and your family. And since he liked when we wrote part of our personnal messages to him in French, here’s the French text of what I wrote in English (I did my best) ; Il va nous manquer, particulièrement lors du rassemblement de cette année le 13 août prochain. Nous nous rappellerons que nous étions toujours heureux de votre présence Mary Kay aux rassemblements de l’Association des familles Soucy de 2010 à 2013… Mes plus sincères condoléances Mary kay, à vous et à toute le famille. Bob and I are so sadden by this tremendous loss. He was a wonderful man and well loved by his patients and friends. Gods light burned brightly in him. May all the special memories make your heart less heavy. He is one of Gods Angels now. May Gods arm wrap around all of you for comfort. Continued prayers for you. We were friends in pre med at ND. Sorry for your loss. You are all in our prayers. You’re in our thoughts and prayers. So sorry for your loss. John was a wonderful man Linda and I had come to know and love in recent years. He will be missed by his many friends and family members. Hang in there Kay and put your trust in God. He will provide peace and comfort and will help you get through your loss. We’ll be thinking of you often. Condolences to the family and friends of Dr. Soucy. He was our doctor for many years; a man of talent and compassion. We have thought and talked of him often over the years. He was the most caring doctor I have ever had. May he watch over those he loves and may you all hold him in your heart. I was out of the country when this happened but want every one to know he was a friend to my son and I. He also was one of the best doctors to work for. He loved his patients and cared for them dearly. Just as we cared about Dr. Soucy. What an honor to have known him. Miss him so much. RIP Dr. Soucy. From the Prof. and me. Dr. Soucy was truly a great man of God. He was blessed with hands to help people not on physically but spiritually. He will truly be missed by many and one day we will be reunited with him and our Lord and Savior Jesus Christ in Heaven. God Bless his family and may his warmth live in their hearts forever.